The spectacular view over Chalk Sound. There are currently no businesses offering helicopter tours (November 2016). Grand Turk helicopter excursions are still operating. 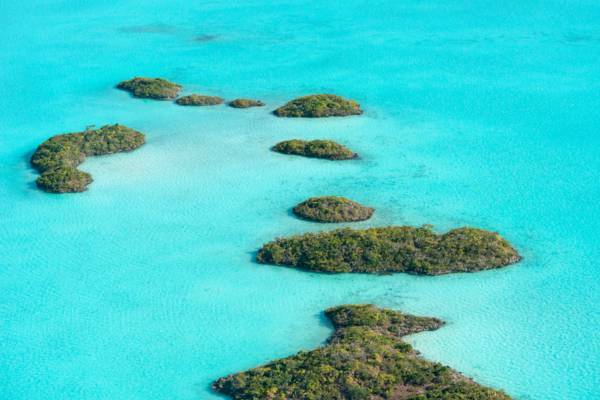 A Turks and Caicos helicopter tour is a truly unforgettable experience. There is so much to see from the air. If nature is your thing, the beaches, shallows, and intricate mangrove networks is the wetlands contrast against the brilliant turquoises and blues of the ocean. 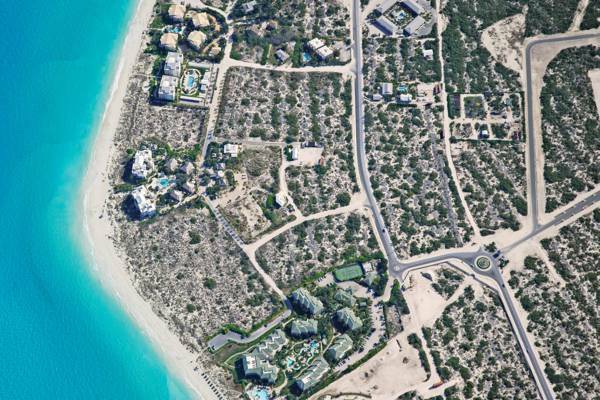 You’ll also see the entire strip of luxury Grace Bay Resorts. Most tours visit Chalk Sound National Park, Grace Bay Beach, Leeward Beach and Channel, and the Conch Farm. Longer excursions are also offered over Mangrove Cay, Little Water Cay (Iguana Island), Pine Cay, Pine Cay, and North and Middle Caicos. It’s often possible to the larger sea creatures in the water below, such as sharks, stingrays, dolphins, and during the winter months, whales. Grace Bay from the air. Last reviewed by an editor on 17 November 2016.